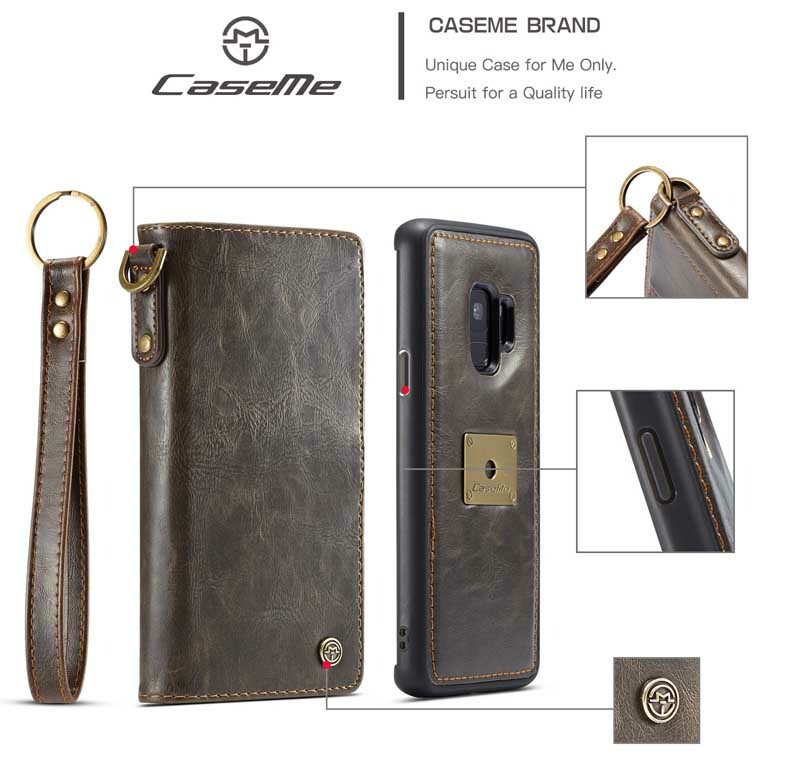 Free Shipping, Buy Genuine Original CaseMe Samsung Galaxy S9 Zipper Leather With Wrist Strap Magnetic Detachable 2 in 1 Multi-functional Wallet Case at Casemecase.com. 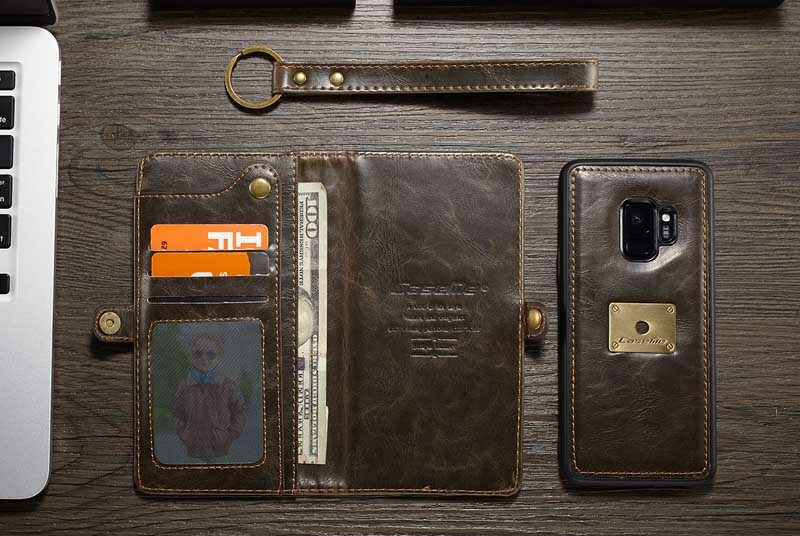 6 card slots + 1 cash pouches + 1 practical metal loop. 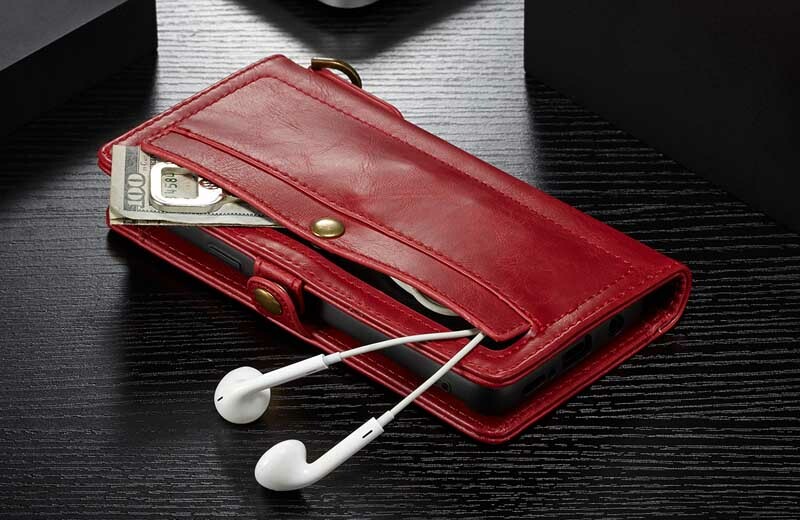 1, Detachable PC & TPU leather materials, soft comfortable hand feelings. 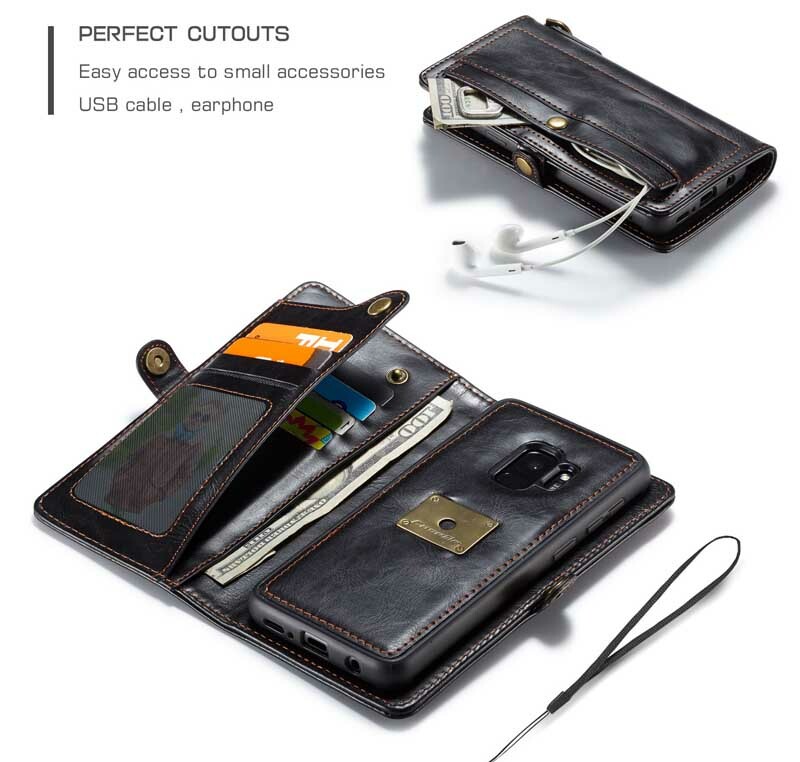 2, Comfortably Fits 8 Credit Card Slots Plus Cash ,Coin Pocket with wrist strap . It is the only thing you need to take with you when you go outside, especially for travelers. 4, Accurate Cutouts for Speakers, Cameras, and Other Features Allow Easy Access to All Ports and Features without Disassembling the Chassis. 5, It is Full of Functions and Stylish Design for Hiking, Hunting, Globe-Trotting Executives Travel etc. 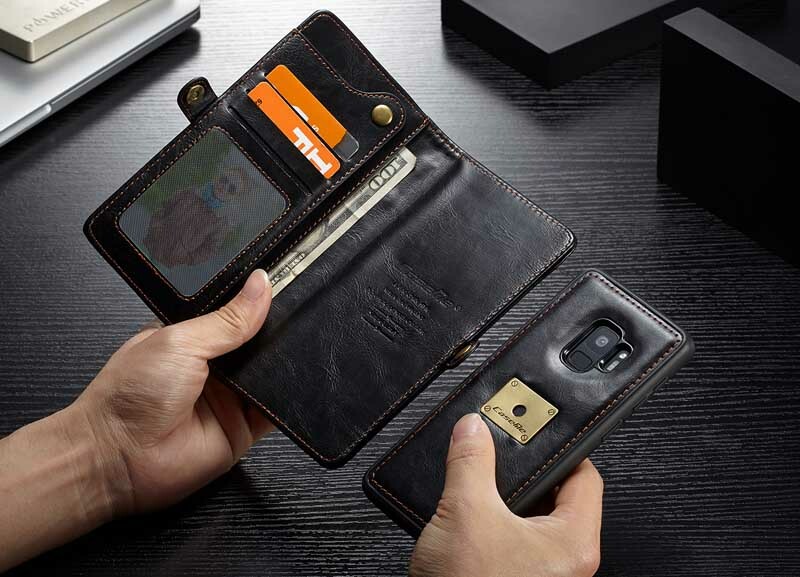 2 in 1 Feature:credit cards including a ID Picture Slot and Button storage， it meets all your daily demand.Multi-use design to meet customer’s meets in daily life, very convenient; to place cards, cash, photo, license, VIP cards, etc. 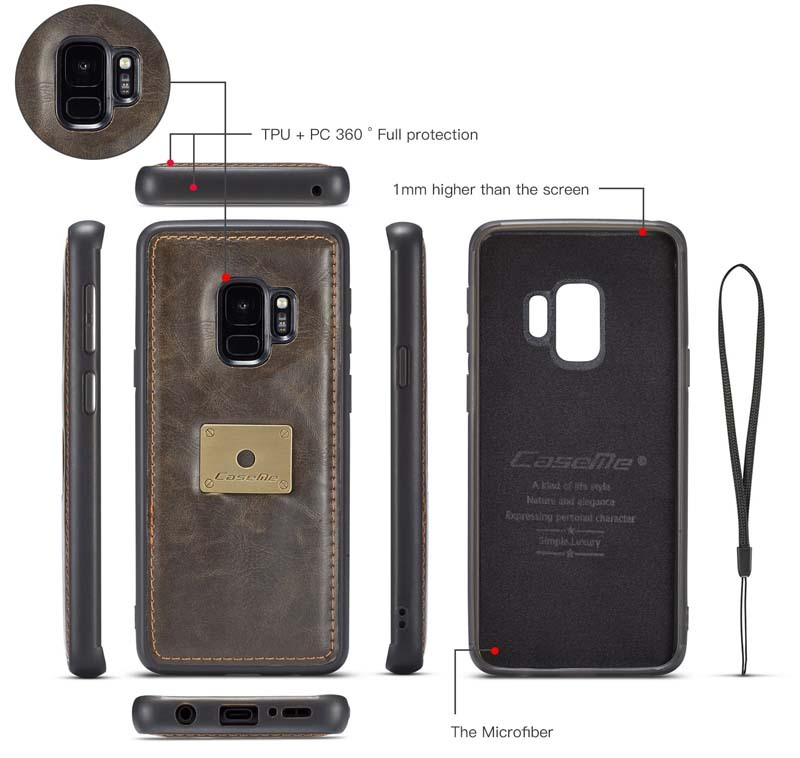 Importantly,Detachable slim back shell [for car mount]can be sued separately, in case you want a simple case at times. A perfect combo product case looks stylish and attractive. 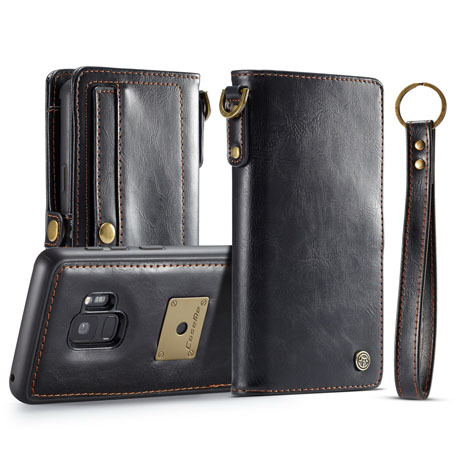 Ideal personaility expressive accessory.Precise cuttings allow easy access to all ports and functions without removing the case.Exquisite design for the case.It is suitable for Men,Women,Teens,Kids and so on.And you also can send your any friends as a gift. 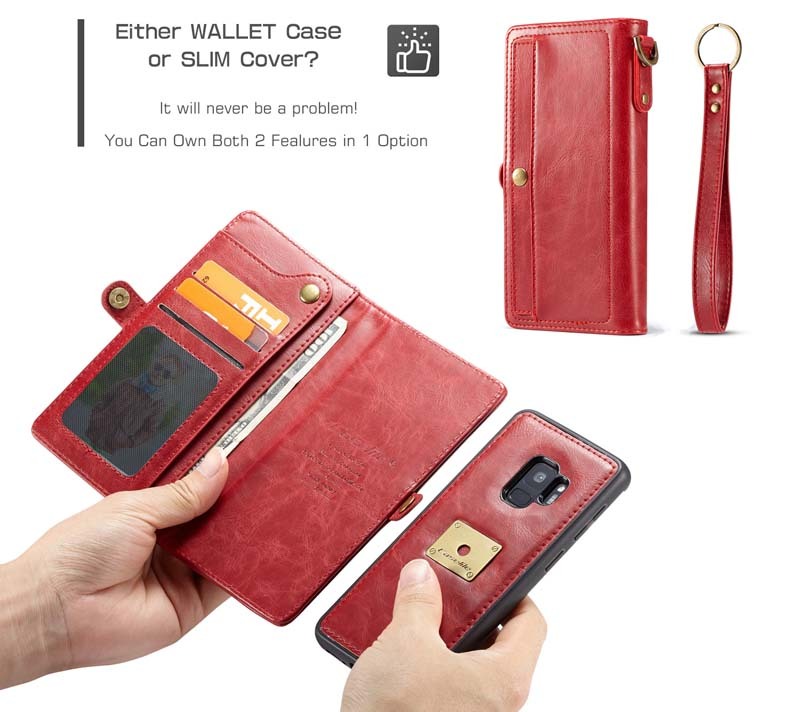 This is the second time I have ordered a wallet case. GREAT when you don’t want to bring a purse with you and the strap wraps around your wrist for extra security.